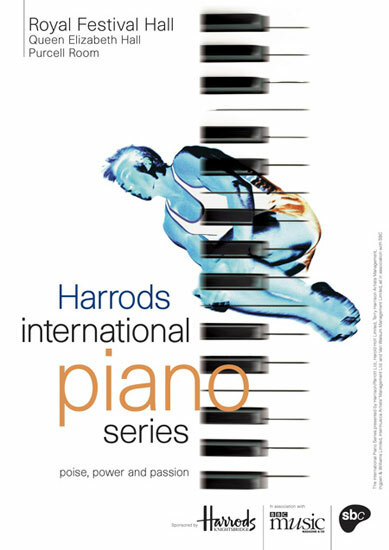 Cover for an A5 leaflet for the Harrods International Piano Series 1998/9. Design and Art Direction by JP. Photography by Tim Simmons.